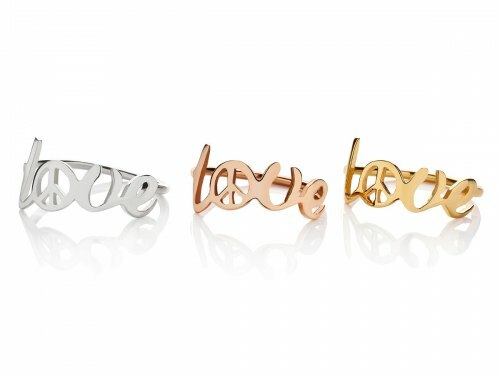 These ultra cute rings spell "love" with a tiny peace sign motif. Look great stacked and worn as midi rings. Made from recycled sterling silver and finished in either a rose or yellow gold vermeil.